I’ll let you fill in the blanks. 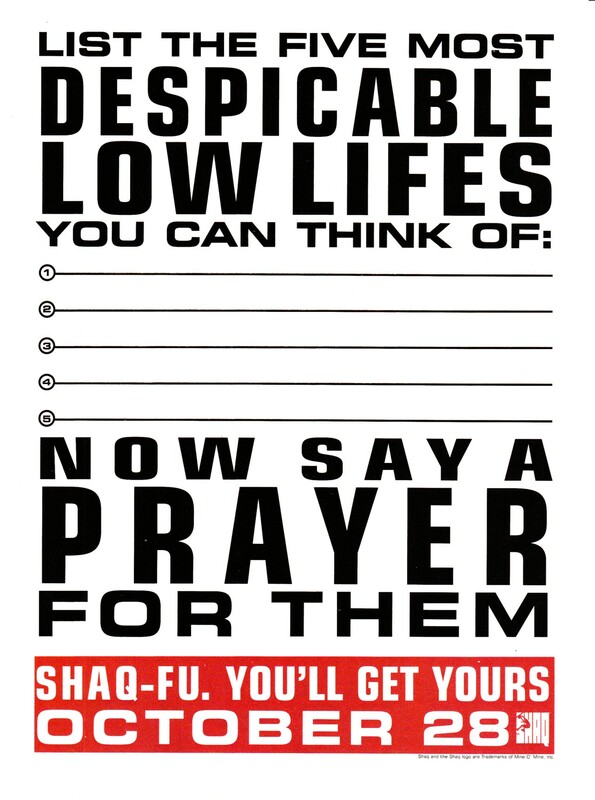 Shaq Fu is an infamous fighting game developed by Delphine Software International and published by Electronic Arts. The game has a reputation as being one of the worst fighting games in existence, but the reality is that the absurdity of the concept generally overshadows the underlying game. Word on the street is that the game was not conceived with Shaq in the titular role, but rather just as an original otherworldly fighting game – demands from the publisher may have been the factor that led to the basketball superstar’s inclusion.